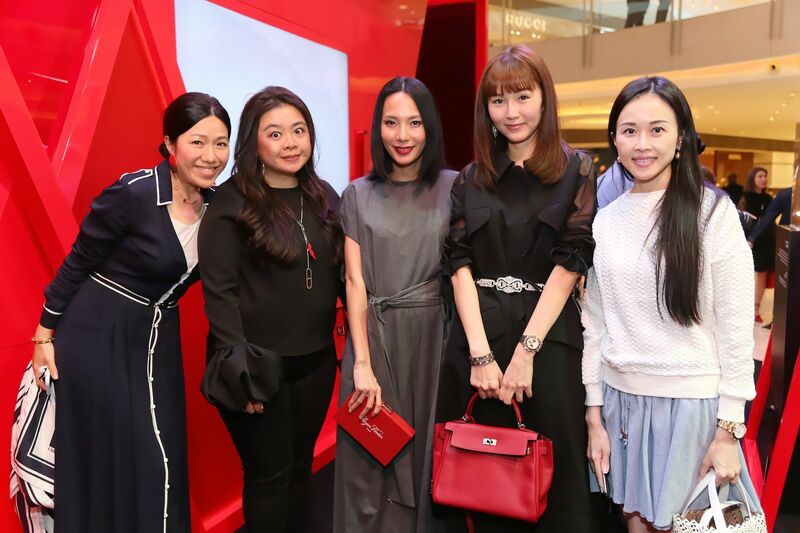 Hong Kong actresses Sammi Cheng and Hilary Tsui along with Taiwanese actress Nana Ouyang and Hong Kong Tatler’s fashion director Justine Lee were the guests of honour at Roger Vivier’s La’Bel Collection launch party. The group collaborated with Vivier on a photo and video project that showcased how they each mix and match the La’Bel collection with their own wardrobe. Coinciding with the party was the unveiling of the La’Bel Exhibition, which showcased limited edition footwear and accessories that are exclusive to Hong Kong. Additionally, Roger Vivier announced their collaboration with the New Hope Foundation, a charity which aims to help underprovided children in Mainland China. Vivier produced 50 limited edition La’Bel clutches to go on sale globally, with all proceeds benefitting the foundation.